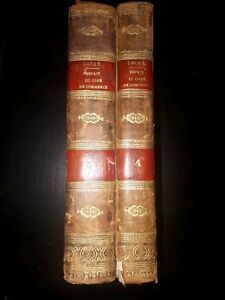 Détails sur ESPRIT DU CODE DE COMMERCE 1829 TOMES 3 ET 4. CHEZ DUFOUR. ESPRIT DU CODE DE COMMERCE 1829 TOMES 3 ET 4. CHEZ DUFOUR.